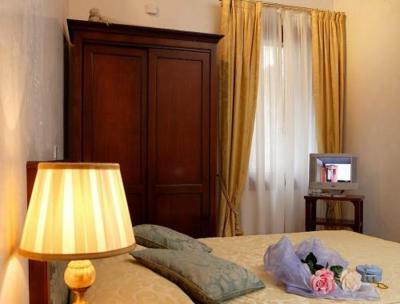 Lock in a great price for B&B La Rosa dei Venti – rated 8.6 by recent guests! Clean room, nice location to watch new year firework. The location is great. It is walking distance to everything, but far enough from the crowds. 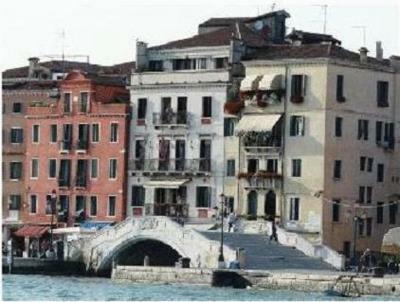 When walking to San Marco, take the path through the town, very quaint and delicious restaurants. The view is amazing, however during our stay, there were 2 huge yachts docked right outside our hotel which blocked our view. Super convenient but also far enough away from the main city chaos. Beautiful view from the balcony in the main sitting area. Beautiful and relaxed breakfast. Nice updated and clean bathroom. Felt more like a comfortable home than traditional hotel. 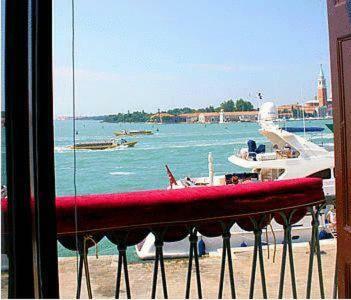 Excellent location, close to Saint-Mark's piazza with an amazing view! You will enjoy the view during breakfast if you don't take the room with the view. Giovanni was really nice with us, and providing everything we needed. The place is very, quiet, clean, comfortable, warm. It's close to a vaporetto station, which is very convenient but you can also walk to most places. Breakfast was excellent. I definitely recommend to stay here! 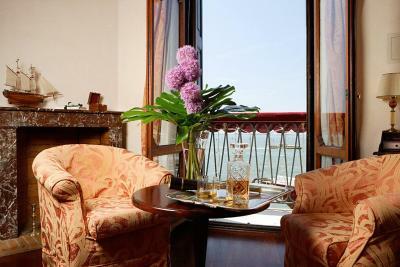 The location is excellent; it allows for an easy arrival with luggage from the vaporetto stop, and is a short walk from all things to see and do. Can't really think of anything else.. Location!!!!! Perfect place in Venice. Water taxi and bus very close. It's on the Grand Canal. Two flights up and not all rooms have views. But, you cannot beat the price for the location and breakfast. Very friendly staff that makes you feel at home. Very clean rooms, location is perfect if you are visiting the biennale, but also main touristic spots are 10-15 mins walk. 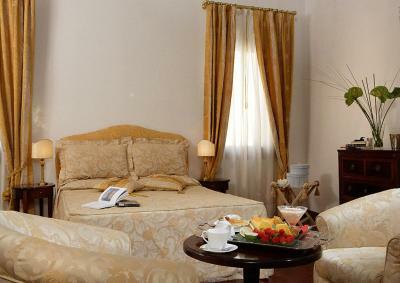 All the bed and breakfast's rooms come with free Wi-Fi, air conditioning and satellite TV. The basic breakfast is continental style. 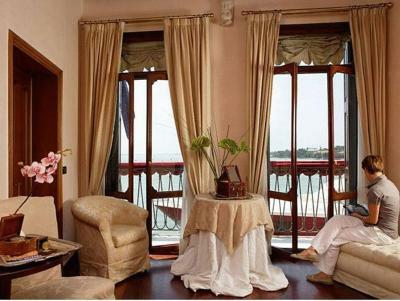 Set on the 2nd floor of a historic building, La Rosa dei Venti overlooks St. Mark's Bay and St. George's Island. 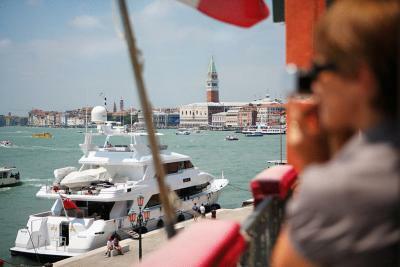 The water bus from Santa Lucia Train Station stops just a few steps away, at the Arsenale stop. The staff can provide lots of useful tourist information. 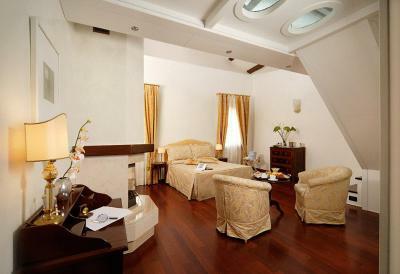 When would you like to stay at B&B La Rosa dei Venti? 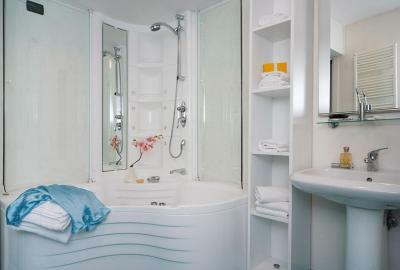 Large junior suite, decorated with pastel colors, has a living area and elegant furniture. 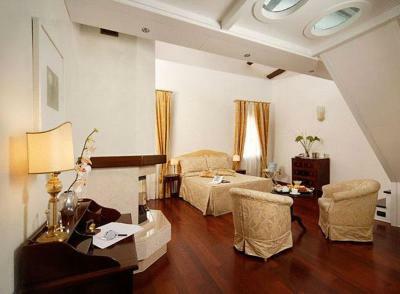 Large junior suite fitted with elegant furniture. Features a living area. Free Wi-Fi, air-conditioning and a flat-screen TV. 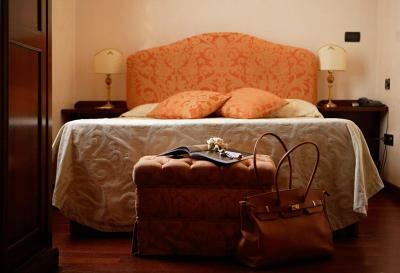 House Rules B&B La Rosa dei Venti takes special requests – add in the next step! 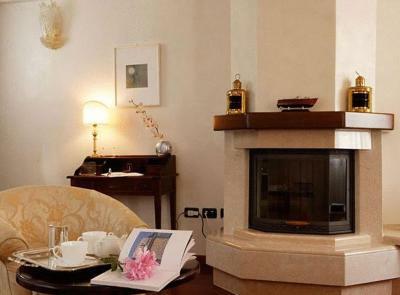 B&amp;B La Rosa dei Venti accepts these cards and reserves the right to temporarily hold an amount prior to arrival. 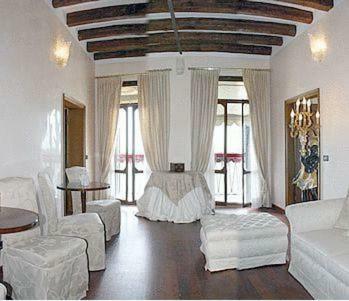 B&B La Rosa dei Venti accepts these cards and reserves the right to temporarily hold an amount prior to arrival. Guests are requested to inform reception of their expected arrival time. Comfy bed. Great shower. Good location. Nice breakfast. The location of this B&B was perfect for us. The view over the lagoon provided a stunning sunset, to sit at our balcony and watch the world go by. The breakfast had plenty of selection and our host, Giovanni was always happy to help, with plenty of tourist info. We had a leak from our bathroom which went downstairs and were constantly told about it when we showered. We missed the message about how to check in via email, it would be great to send your guests both email and a text message to make sure how they should check in if you are absent. Tricky to find when arriving in the dark. 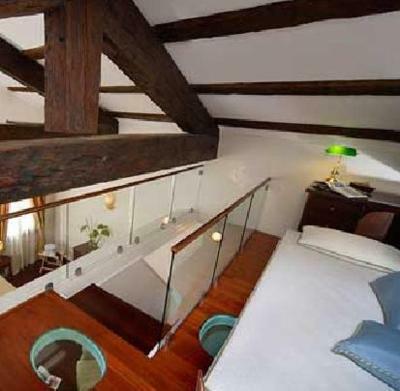 Large bedroom and bathroom. 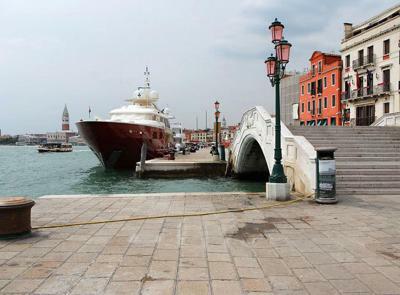 Wonderful views and close to ferry boat terminals and in easy reach of central Venice. On top of that very helpful and pleasant staff and excellent breakfast. We were not expecting to get a code to get in the first day and had issues with my phone provider that meant I nearly missed the email if I wld have left my country a day earlier. Knowing the code would come and perhaps getting the code earlier might have eliminated our initial scare about not able to being able to get into the b&b. It was fine in the end and we were happy after this rough start. We wld request this code before leaving the country in the future. We loved the friendliness and patience of staff, the location was perfect (close to the action but quiet enough to relax, also had the morning and evening sun reflecting on the water) the room was comfortable, the hotel was charming (many interesting design features), the continental breakfast was ample...we would love to come back again. Location Friendly interaction - Giovanni is fab!